The findings specifically challenged long-held assumptions that the region was sparsely populated and that small, Mayan cities were cut off from one another. Researchers surveyed each square meter with 15 laser pulses, the Washington Post reported. Lidar technology, or light detection and ranging, uncovered such startling new information because it is able to penetrate the thick, forest canopy to reveal what was hidden below in a way that researchers were unable to do previously. Lidar operates under the same principles as radar, except it uses laser pulses instead of radio waves. The laser light is unresponsive to vegetation but cannot penetrate harder surfaces like stone, and so laser light will bounce back when it comes in contact with a built environment. Luke Auld-Thomas/PACUNAMA lidar image depicting the newly-discovered range of features. The long building in the top right is part of the so-called E Group complex, which largely dates to before 500 B.C. Across the valley from this building is an acropolis which is likely much younger. “Since LiDAR technology is able to pierce through thick forest canopy and map features on the earth’s surface, it can be used to produce ground maps that enable us to identify human-made features on the ground, such as walls, roads or buildings,” Marcello Canuto, the director of the Middle America Research Institute at Tulane, said in a statement. Thanks to the new technology, the researchers were able to discover 61,480 total structures in the area like houses, large palaces, ceremonial centers, and pyramids. This led researchers to believe that at the height of the region in the Late Classic period (650-800 CE), the population reached between seven and 11 million people. PACUNAM/Estrada-BelliLidar analysis showing the hidden structures. The lasers also revealed over 106 square kilometers (about 41 square miles) of roadways, canals, and infrastructure which connected the region’s various cities to more rural areas. 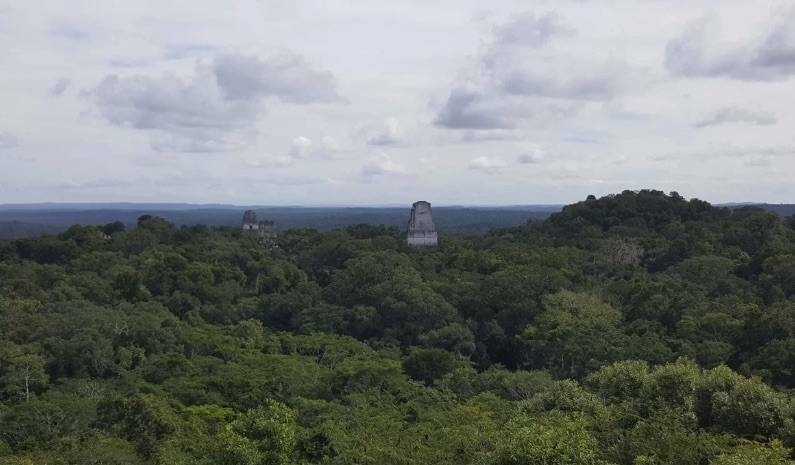 “Seen as a whole, terraces and irrigation channels, reservoirs, fortifications, and causeways reveal an astonishing amount of land modification done by the Maya over their entire landscape on a scale previously unimaginable,” Francisco Estrada-Belli, a research assistant professor at Tulane said in a statement. The idea that the Maya were a more complex civilization than previously believed has been gaining favor over the past few years. 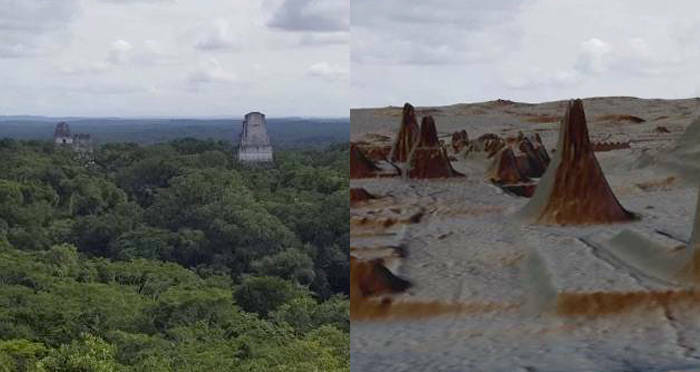 According to Science News, some researchers have argued that slash-and-burn farming techniques were popular during the Mayan Classic-era and may have contributed to their downfall. However, the study revealed that the Maya were more sophisticated in regards to agriculture than once thought. The lasers uncovered 362 square kilometers (about 140 square miles) of terraces and modified agricultural terrain, plus 952 square kilometers (368 square miles) of viable farmland. Despite this groundbreaking discovery, there is still a lot of work to be done. The researchers had to go on the ground in some parts of the surveyed area to confirm the lidar data, according to the Washington Post. Lidar might not be the perfect technology just yet, but so far it has not only opened our eyes to tens of thousands of new structures but challenged how we view an entire civilization. 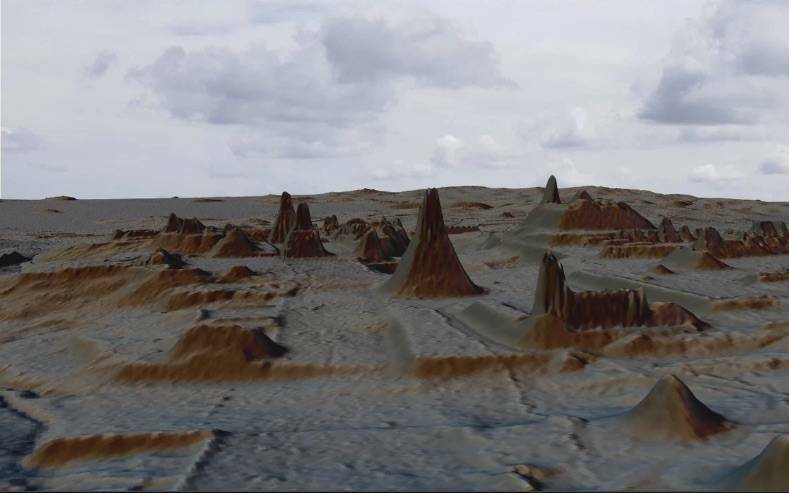 Next, check out these medieval Cambodian cities that were discovered with the same laser technology. 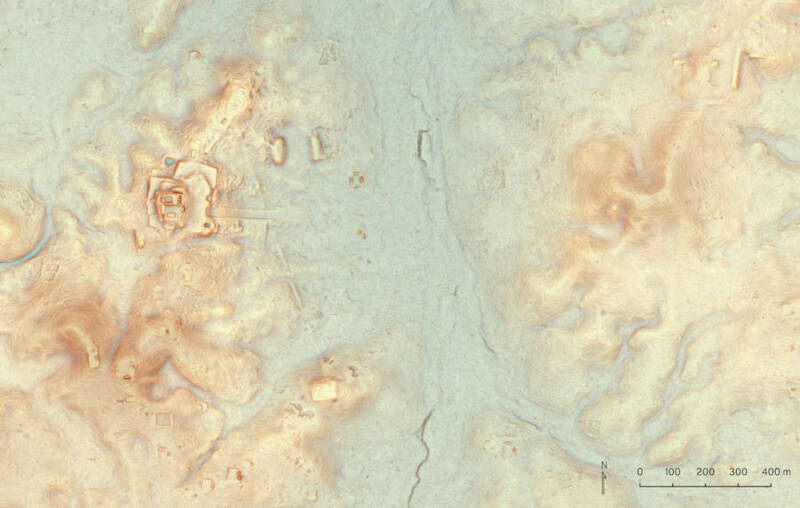 Then, take a look at the lost Mayan “Megaopolis” that was also uncovered in the Guatemalan jungles.